We said goodbye to Big Bird (our beloved yellow Subaru Baja) last week and welcomed a 1995 Chevy G30 Roadtrek Popular 210 into our family! 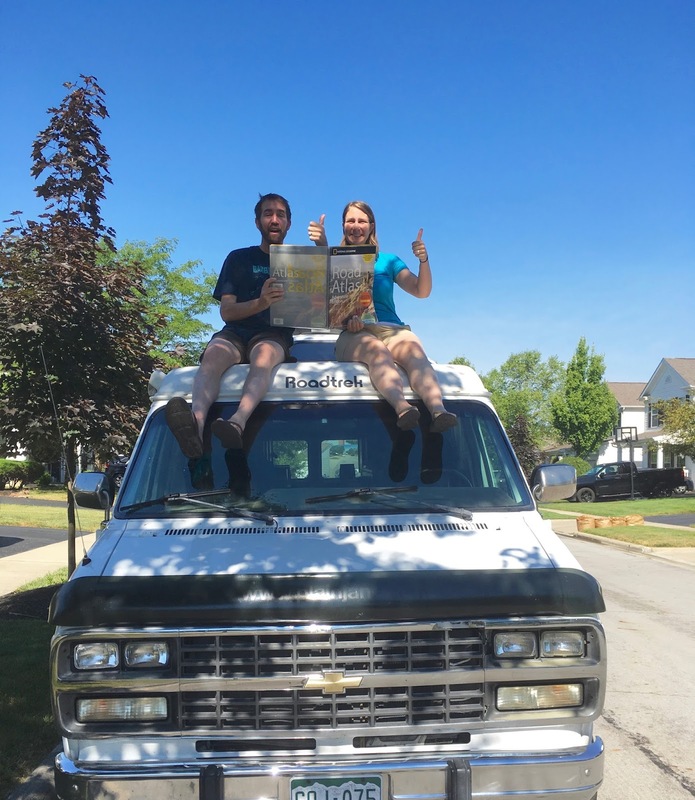 Ever since we have been spoiled by a decked out Sprinter van thanks to our Backpacker job in 2013, we have been sold on the idea of living in a van. J has casually searched for RVs and converted vans during the past 2 years, but this summer, we decided it was time to get serious. 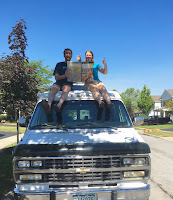 We have a contract job lined up for later this summer (more on that another post), so the van will serve as our adventure mobile and partial home in the meantime. It will also be extremely useful when we launch another speaking tour next year. We van shopped like it was our job, driving all over Colorado and looking at about a dozen. We hemmed and hawed about price, age and size. For 2 people who are anti-commitment and have a hard time deciding what to eat for dinner, it was amazing we found a winner. We really loved everything about this one. 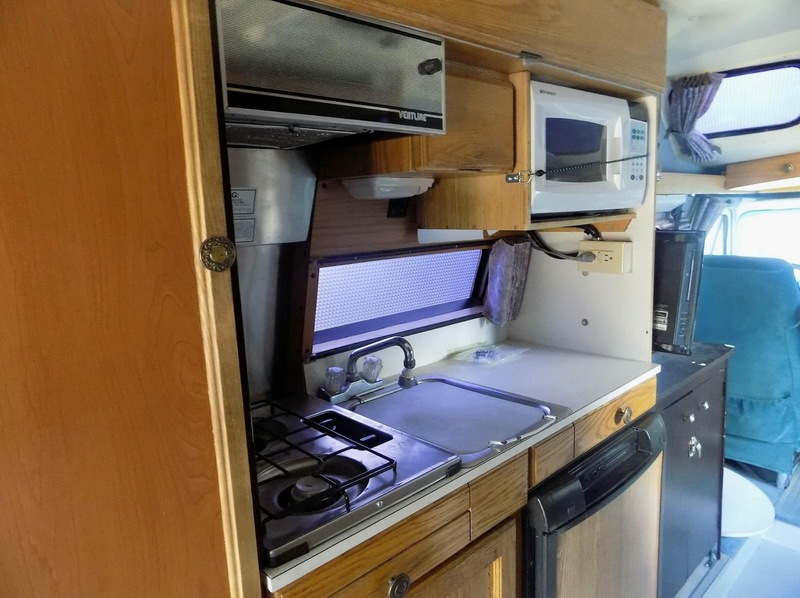 It has a very clean interior with a lot of upgrades and added features. Of course, we plan to personalize it as much as we can (interior tour, coming soon), but everything happened so quickly and we hit the road as soon as the keys were in our hand. Sure, it is a 1995, so there are blast-from-the-past features, but that just adds some character. The 210 model means it is 21 feet and is rarer among the Roadtreks. A beast to drive, but the extra feet are welcome when we are cozied inside. Mechanically, there are minor issues, but our maiden voyage across the US has given us the confidence it will perform well. 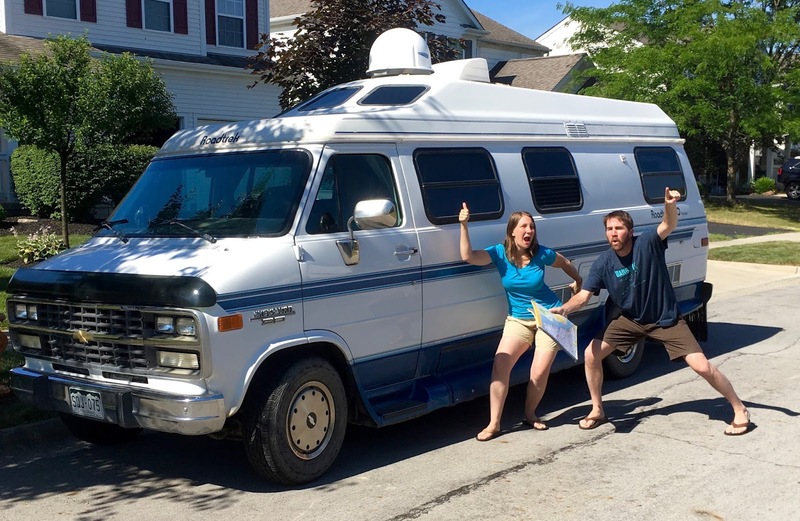 And now, we need your help in naming our new home on wheels. Leave a comment here on the blog, on Instagram, or Facebook with a name suggestion and if we pick yours, we will send you a prize!!!! 1) The contest will end on Sunday, July 31 at midnight. 2) The contest is open to U.S. residents only (for shipping purposes). 3) Feel free to suggest multiple names using all the social media!